Maine Summer Retreat "By Sea"
The Maine program offers the opportunity for our clinical services to be provided while sailing Casco Bay and staying on a 39 foot sailing catamaran (Casco Bay ﻿Catamaran﻿ Adventures). This option includes the services of a highly experienced captain and marine educator, who directs the sailing, shares his extensive knowledge of the ocean and marine life and provides delicious and healthy meals. Clients may choose whether or not to have the Captain stay aboard the boat at night. 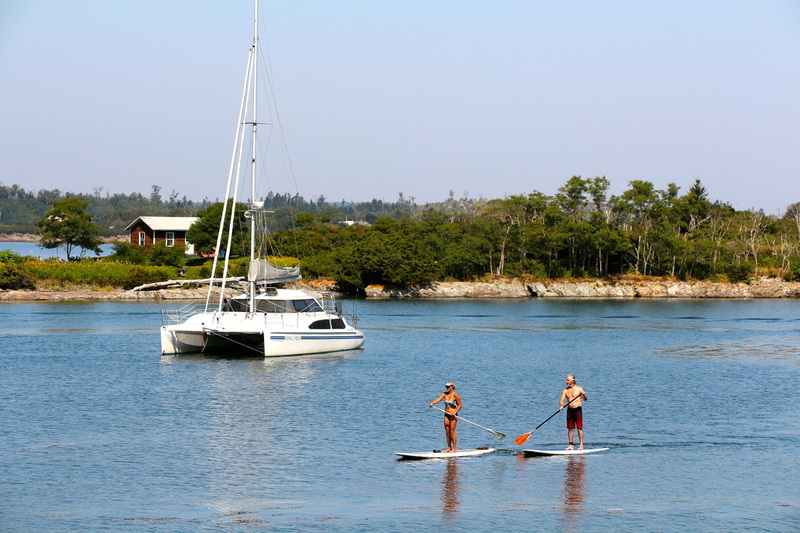 Each day involves no more than 2 1/2 hours of sailing in the protected and calm waters of Casco Bay, followed by a relaxing time at anchor to fish, kayak, paddle board, swim or explore the near by island. The islands visited while cruising will range from those which serve tourists with a range of dining options, to islands which are uninhabited allowing for a night time fire on the beach. "The time spent in Maine on the sailboat doing the therapy program was amazing, with three kids (5-14) we were a lot to handle. We came in as couple who really didn't like each other and as parents who did not connect well with our kids. We left as friends, ready to work on the relationship and with a much better sense of what our kids really need from us. Change is hard, but we got started and have a clear sense of where we need to go. Oh yeah, and what a spectacular vacation - Maine on a sailboat in the summer - it does not get any better!"